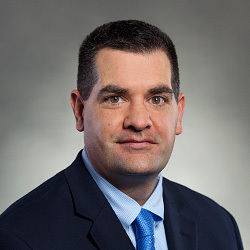 Damian M. Taranto is a commercial litigation attorney with over a decade of experience defending general liability, product liability, motor vehicle, mass tort, and premises liability matters. His clients include manufacturers, property owners, utility contractors, and insurance companies and their policy holders. He has direct experience in all phases of pre-trial litigation, including the preparation of pleadings, motions, and briefs. He has significant experience in arbitrations, mediations, settlement conferences, and in defending depositions. Mr. Taranto has also worked with business owners in the development and execution of risk management strategies. He has represented a multinational, full-service utility contractor and a Fortune 100 global energy company in complex general liability matters. He has also defended asbestos cases for a manufacturer of industrial services and engineered heating products. Identifying and Managing Fleet Vehicle Data. Auto Liability, PIP and Trucking Claims. Impact of Safety Technologies in Trucking Industry & Claims Prevention Analysis. Settlement of a motor vehicle accident case involving the collision of a Mack truck (driven by Plaintiff and owned by the client) with a minivan that resulted from the failure of the Mack truck’s braking system. Arguments were made that the body shop performing repair work on the truck was at fault for the accident and that Plaintiff was also at fault for failure to have the truck towed and properly inspected, and for speeding prior to the mechanical breakdown. Through the use of mediation, significant expenses for extensive discovery, lengthy depositions and medical examinations were avoided. Settlement of a multi-million-dollar case arising from a workplace accident through a 2-day mediation. The case involved a power surge conveyor, life-changing injuries, multiple defendants and significant legal and factual disputes. The first day of mediation was with defendants only, in order to establish a hierarchy of liability. The second day, with Plaintiffs present, allowed the mediator to push through difficult arguments involving comparative negligence, medical causation, and legal issues including the Statute of Repose. Voluntary dismissal less than ninety days after assignment in an industrial accident case involving catastrophic injuries. Plaintiff had his arm amputated after reaching into an unguarded portion of a conveyor system and sued various entities involved in the construction, design and manufacturing of the system. Through investigation of the accident, it was determined that the client could not be held liable under Plaintiff’s theory of liability and dismissal was successfully negotiated before discovery commenced without having to make a financial contribution.